The Tiputa Pass is a place bustling with marine life. The tidal Tiputa Pass flows from the open ocean into the Rangiroa Lagoon which funnels an endless array of fishes and predators via a narrow gap in the reef. The pass is more or less famous for their dangerous inhabitants, the hammer sharks who as per estimates by marine biologists pass 1500 at a single go. The visibility within the pass is often up to 40 meters which is more than enough for snorkelers to get into action. Also, the strong current makes the diving effortless in the pass where you can join the marine migration drifting and moving alongside sharks, dolphins, and thousands of beautiful reef fishes. 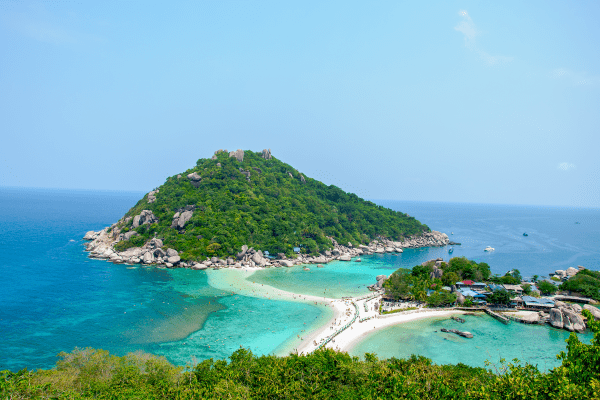 Looking to plan a for more such diving and travel destinations? Head over to Savvy Expeditioner to find the best travel destinations around the world. The Cape Kri happens to be the epicenter of the coral triangle which is the part of the Pacific Ocean between Malaysia, Indonesia, Papa New Guinea, Solomon Islands and the Philippines. The dive here is considered to be the best in the world. Famed marine biologist Dr. Allen has estimated that he counted up to 374 different species of fish at the Cape Kri. This kind of variety is unparalleled and unseen anywhere else. The different species of fish found at the Cape Kri include tunas, fusiliers, snappers, surgeonfish, barracuda, turtles, bumphead parrotfish and even sharks. The hype and fame of this place are too much to not include it on your travel list. You cannot really imagine your diving list to be complete without ever diving in the Barrier Reef. 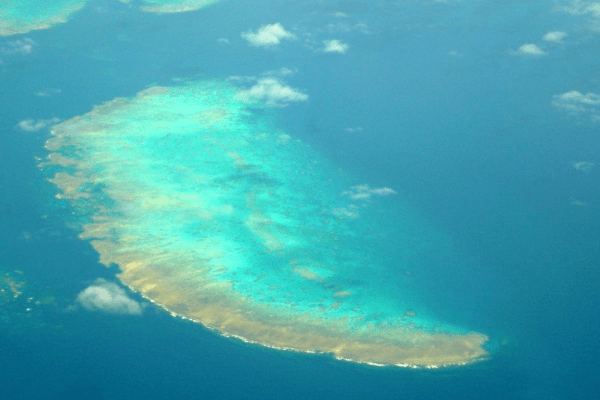 The Reef is so large that it can actually be seen from space. It also has been one of the world’s most premier diving spots stretching 1430 miles along the northeastern coast of Australia offering over 4,000 separate reefs, islands and cays. If you go by estimates, it could take a person more than a lifetime to explore the entire reef which has more than 1500 species of fish and a lot of shipwrecks. The reef also boasts of having the largest and healthiest coral reef system. The size and the variety of the reef make it an ideal spot for divers and visitors. The Darwin island in Galapagos holds the distinction of having 20% of marine life in the world. No wonder it’s a divers dream to be here and experience the uniqueness of the place themselves. From late June to October, one can witness sharks, hammerheads, sea lions, turtles, eels, iguanas and even penguins. Expect strong surges while diving as several ocean currents makes their way through this area. The Darwin island is a diver’s dream in short. This limestone bedrock edged under Mexico’s Yucatan Peninsula is filled with freshwater-filled holes called cenotes which marks the region with amazing dives that date back to legends passed from the Mayan times. One of the more famous cenotes happens to be 48-foot deep Cenote Taj Maja which lies a little south of the coastal town of Playa Del Carmen. The Ambergris Caye is famous among professional divers and nondivers. This underwater sinkhole isn’t a dive that you make to explore marine life but a dive that you do to soak in the natural beauty of the site itself. Once you start diving, the caves, stalactites, and stalagmites can be seen from about a depth of about 120 feet. The only problem that one encounters is a three-hour boat ride to reach this place but the end result is worth the efforts. If you ever wish to dive in the clearest waters then head over to Turks and Caicos, also a great place to escape the crowd of the Carribean. You can dive into the world’s third largest coral reef system and discover drops that plunge hundreds of feet deep. The Columbus passage, a 35-kilometer channel separating the Turks and Caicos Islands is a water highway for migrating fish, rays, turtles, dolphins and humpback whales who can be seen from January to March. 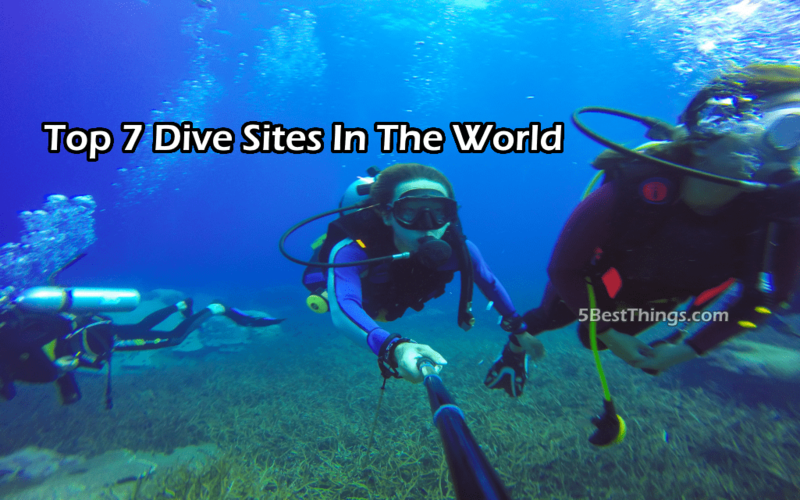 So there you have the 7 most amazing dive sites in the world. Fellow Divers, take note.